This month’s guest post is from Mario Deal. I’ve known him for quite some time being in various Facebook groups and private Skype masterminds. Mario always came across as a clever SEO – a guy who knows how to push the needle in the SERPs. Thus I was very excited when he said he wanted to share a success story with a high-profile client site. In this article, you’re going to learn the exact onsite and offsite SEO plays Mario made to 4x this website’s organic traffic. Back in late April, I was tasked with increasing traffic to a well known health and fitness website. On the front end, they were selling their hot fitness app, but they had a blog that was bringing in the majority of the website’s traffic. It went from around 7k organic visitors/mo to about 68k per month. I’m not going to lie… a lot of the heavy lifting was already done in getting the site off the ground as you can see, but this particular company needed help getting to the next level. They simply couldn’t compete with their biggest competitors because the big fish were getting 100,000 to 1,000,000 organic visitors to their site a month. On the blog portion of their website, they were putting out a lot of great content and they were gaining links naturally from that content. So, with things going so well I had to look at their SEO strategy from angles where they weren’t approaching from to get this site to grow to even higher levels. Just like any good SEO, you have to look at what’s happening on page and what’s happening off page and go from there. There’s always something you can be doing to make things just slightly better… and those little wins compound over time turning your site into a powerhouse if you stick with it. Below is exactly what I did to quadruple the site’s traffic in the next 6 months. On the first pass after auditing the website for any major errors, I added a lot of internal links to older content from 2016-2017. There was a lot to go through as there’s over 1,000 blog posts on the site from that time period. 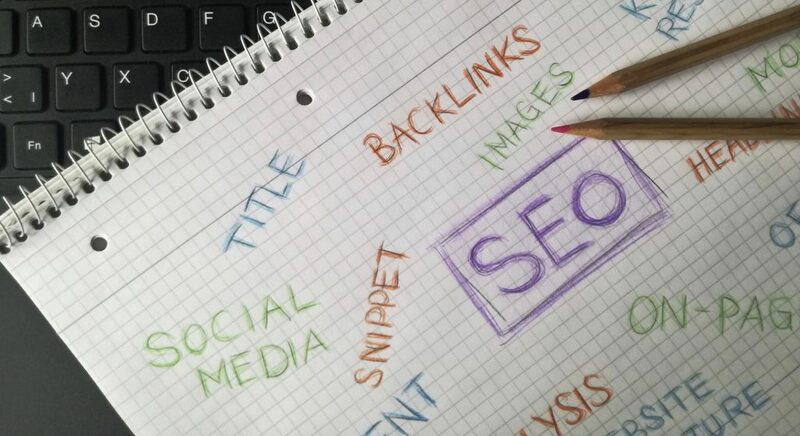 A lot of the new content that was being produced could link to the older posts giving them more authority and the older posts that had authority could push the newer pages in the SERPS just through internal linking. 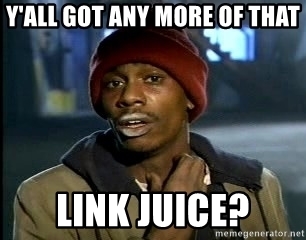 Everyone’s approach to this is different with how link juice flows, but I like to spread it around as much as possible. I think a good example is how Wikipedia does their internal linking because you’ll notice how they internally link to as many pages as possible within each article. I was careful not to over optimize with heavy anchor text internally as well. It’s okay to be aggressive, but there’s definitely a limit you shouldn’t push as it’ll make things harder for you when trying to rank specific pages. I had a list of pages I really wanted to rank higher and get more traffic to, but I wanted the entire site to rank well as a whole. This strategy really helped with that, as it was the first part before powering up the site with links. For anchor text I would say that I would use target anchors 50% of the time and the other 50%, I would use words that were nearby, but had the target anchor in close proximity to the link. For example, let’s say I wanted to rank /blog-post-197 for “best page in the world”. 50% of the time, I would have anchor text be “best page in the world”, “great page”, “amazing page”, etc. as the internal anchor. These anchors being keywords I wanted the page to rank well for. The other 50% of the time I would have a sentence like this: “This is the best page in the world and you can find it here.”, where “find it here” would be the internal anchor I’d use. 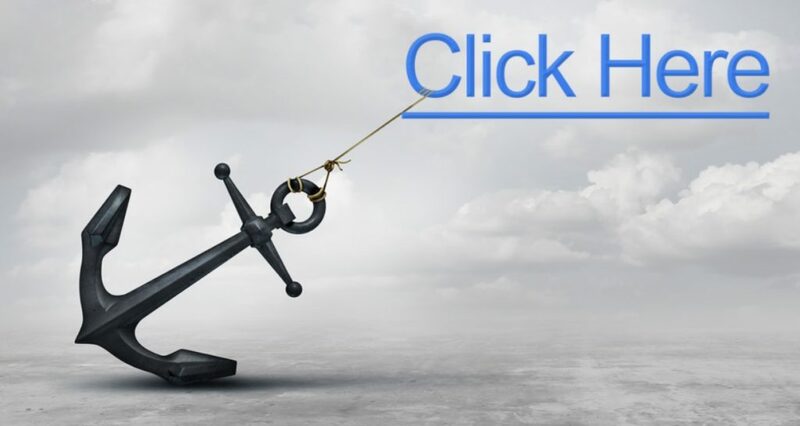 By having “find it here” as the internal anchor it would balance out the internal link anchor profile of the page while also passing relevance since the keyword is in close proximity to the link. I can’t tell you exactly how much of an effect that had, but I believe it had some sort of positive impact in helping pages rank. Feel free to test that out yourselves and let us know what findings you had. Changed page titles that were similar or identical to other pages or found ways to add in additional keywords while still looking natural. Noindexed at least 50 landing pages that were being used for paid traffic. These were very similar to one another (had mostly the same content), indexed and providing no SEO value. Read more on this. All this was found using the latest version of Screaming Frog. The SEO plugin of choice was Yoast, and I used that to close off a lot of areas that were open to indexing. You may not see some of these depending on how your site is structured. Another thing I did was added an HTML sitemap of all the blog posts (that is automatically updated as new posts go live) while linking to that sitemap in the global footer navigation. Unfortunately, I thought this would be as easy as adding in an HTML sitemap plugin to the WordPress theme and it would work, but the popular ones I’ve tried didn’t play well with the website. I had to have the engineering team create something for me that would get the job done and implement it on the site. Since we didn’t have pages that I wanted in there, I told them to just have a list of all old blog posts (with the post title as the hyperlink to the blog post) and have it auto populate as new content gets published to the site. This might sound complicated, but it’s really not. I had the resources given the size of the company, so I utilized their developers. I can’t speak for anyone’s specific work, but there are gigs on fiverr.com with great reviews of people who can implement this for you fairly easily for $5. The thought process behind that was to pass more juice to the blog posts that didn’t have as many internal links while creating a quicker path for Google to find all these posts. While all that may seem easy, it was very time consuming, but at the same time, extremely beneficial to the website’s authority. For the site’s off page strategy, I decided to rely solely on guest posts. 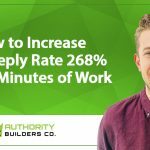 I used services like Authority Builders, Love to Link and a few freelancers who had partnerships with other site owners. You can easily find good freelancers in Facebook groups. Honestly a lot of them reach out to me on LinkedIn and have just developed relationships from there. I made sure to check out the link profiles of the site’s I was getting links from (if I could), but the main thing I was looking for is that the site was ranking well in Google. If their rankings were decreasing, looked like they had any penalties, or didn’t have the 1,000 visitor/month threshold, I skipped it. I only wanted to work with sites that were performing well and in Google’s good graces. Like Matt says, it might not be a huge signal now, but we’re in this for the long haul and future proofing ourselves. In my opinion, and to keep the site safe, it was a step that was well worth it to add to this process. Both of these sites are good examples of what I would be looking for from guest post links. Traffic has been increasing over time and the traffic going to the site is beyond the 1k per month mark. These sites needed to at least be getting 1,000 or more organic visitors per month for me to want to get links from. It’s also worth noting that even if the site passed all my criteria, I also made sure that they weren’t obvious about selling guest posts on their site. I would look for things like “Advertise”, “Write for us”, or “Sponsored” on the sites and if I saw that, or anything similar, I would skip those as well. Earlier I mentioned that I was looking for specific areas that were neglected so I could capitalize on easy SEO wins. So, one thing to note is that before I started working with this site, the vast majority of the links were going to the home page. 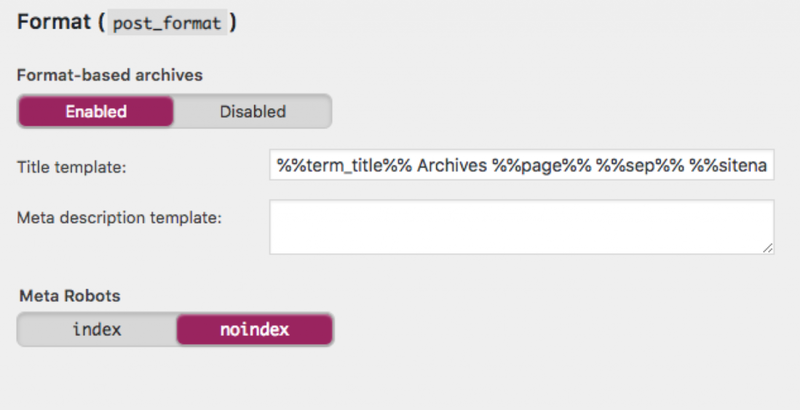 I knew I had to start building links to inner pages to get the site ranking much higher. This was an angle that hadn’t been explored before and I knew would really get rankings jumping if done right. Sure, the internal pages were getting links naturally, but there weren’t very many and I knew the pages could be performing much better with additional links built to them. 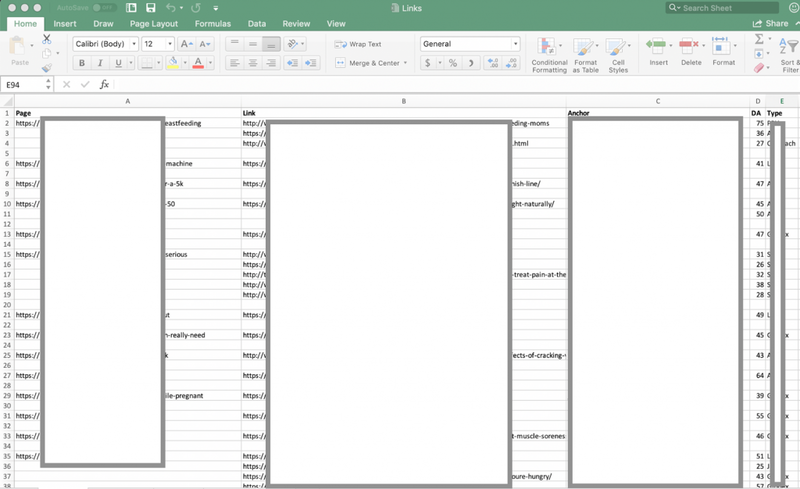 I keep a running Excel spreadsheet on my computer (yes, I wear a tin foil hat) of which pages I was targeting, the link to the guest post, the anchor text I used, the DA of the site, which service I used, the date and the price of each link. Pretty simple. Pages and links are blurred for privacy reasons, but you get the idea. This was how I kept track of the links being built on a month to month basis. 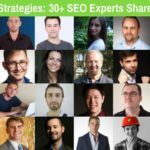 I built links to 30 internal pages for a total of 100 links in the span of 6 months. This may seem like a lot, and it is, but the site had traffic to support these incoming levels of links. Also, as the traffic increased, I was able to build links a little bit faster as well. Again, I was keeping in mind the traffic coming to the site and what would look natural from a linking perspective. At the end of April, the site was averaging around 70,000 organic sessions per month. Today the site is around 300,000 organic sessions per month. Out of the 30 pages that I built links to, maybe 15% of those were brand new blog posts. The rest of the posts I built links to were blog posts that had age and authority built up already. For the new blog posts, since they were brand new to the site, I didn’t want to hit those heavy with links. Usually for those I built no more than 1-2 links to in total over that 6 month period. The older blog posts had the age, rankings and traffic coming in, so depending on how much traffic was coming to them, I’d build anywhere from 3-10 links over the same timeframe. For example, if a blog post was getting around 5k visitors a month, I would be comfortable sending 3-5 links there in a month because traffic levels supported that. If a post was getting 100 visitors or less per month, those usually got way less links and I’d wait longer before building more. I’d probably build 1 link to those each month whereas the heavier traffic pages I would get a link to that page once a week or once every other week. I was also be building these links simultaneously. On any given week, I would be getting anywhere from 5-10 links spread across the site. Those links would get divided up by the traffic levels for each page I’d be targeting. Another thing that kept the site safe was the anchor text I was using to rank these pages. Most of the links built either had the brand name in the anchor text somewhere or was extremely broad. So for instance, if I was building links to a page /5-best-interval-workouts, I would use variations like “interval workouts from BRAND”, “BRAND NAME”, the url, or “workout”. The reason for this, was for safety. I didn’t go aggressive because I didn’t feel the need to. The site was responding extremely well and there was no need to push the gas down further with aggressive anchor text links. The guest post linking into the target page was always on topic and the content on them would be about what I was trying to rank for. I think it’s really important for the site linking in to be thematically relevant to your site in some way. There’s millions of sites in the health and fitness space that I could leverage, so there wasn’t a need to get creative with which sites linked into ours. It’s not a huge deal, but still worth noting that all the links I had built were in the 30-60 DA range. Having a high Domain Authority wasn’t a main factor of mine when evaluating a link, but it was something I was keeping track of and using as a metric for the links that were built. I really feel that the combination of spreading around the link juice with links while making sure there were plenty of internal links within the content was what helped propel this site to new heights. You can see that during major algorithm shifts, the website only performed even better after everything was said and done. I hope you enjoyed this little case study as much as I enjoyed writing it for you. It goes to show that you don’t need fancy SEO tricks to get high rankings and traffic to your blog or website. You don’t need to trick Google with the latest SEO hack that won’t work a month from now. I’ve tried those tricks too and they never last or become ineffective shortly after. You just need to be consistent with what works. 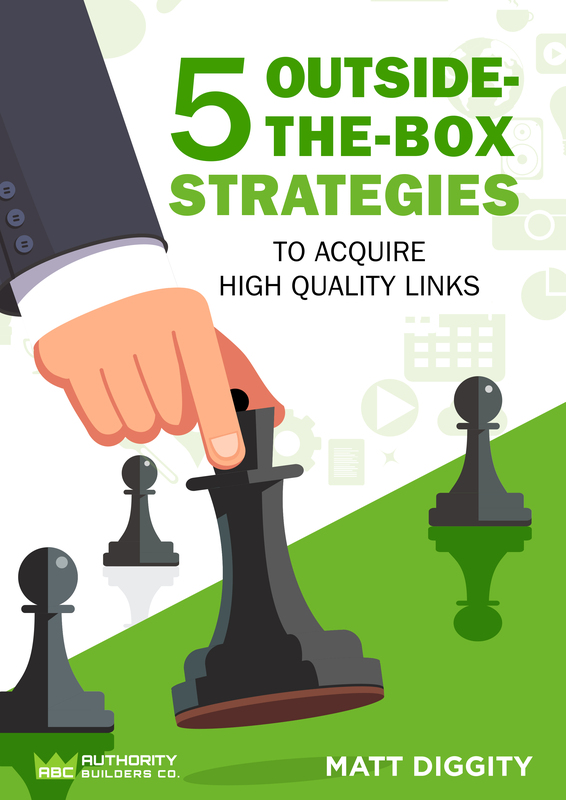 You can think of this case study as a follow up to Matts two ebooks “Evergreen Onsite SEO Guide” and “Backlink Blueprint Timeline” because once you have the foundation set up correctly, it’s pretty easy to ride the bigger waves after that. Nice post. How much did you spend on Guest Posts? Hey John, since I was going after higher end sites with traffic, I was averaging 1k-2k/month on links. How many links did you add altogether to take it to where it is now? Did you add any content to the site? Yeah content was added and about 100 links were built. Awesome post!!! I really like the way you built the links based on authority. Thank you for this article.. comes at a very relevant time for me when I was considering selling my site. Rankings dipped last year as I wasn’t consistent, earnings now at a fifth of what they were last year.. so I’m going to implement this.. thank you thank you thank you! Awesome.. Thanks for sharing Mario. Really appreciate it. What was your monthly retainer for this client? Great job man! Just wanted to ask, in the guest posts, how many times do you link to your website? Do you also link to authority websites? Just once to the target site usually and yeah, almost always had at least one outbound authority link. Great post, Mario. 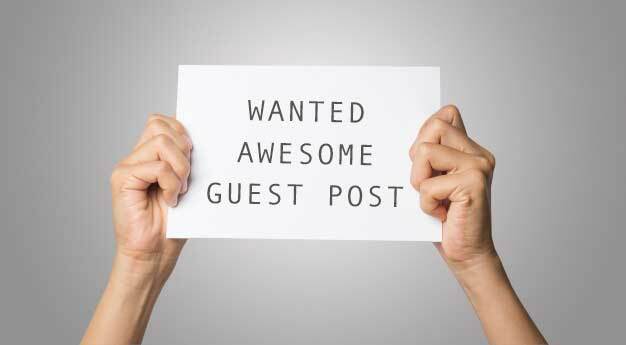 What is your approach for finding guest post opportunities? Beside using Authority Builders, of course. Thanks man. 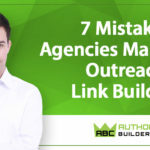 I used services like Authority Builders, Love to Link and a few freelancers who had partnerships with other site owners. For me, the challenge in guest posts is that it is just one further thing I have to do, and I struggle to keep posting on my own blog each fortnight. At some point in time, you gotta get some help (i.e. staff), brotha.